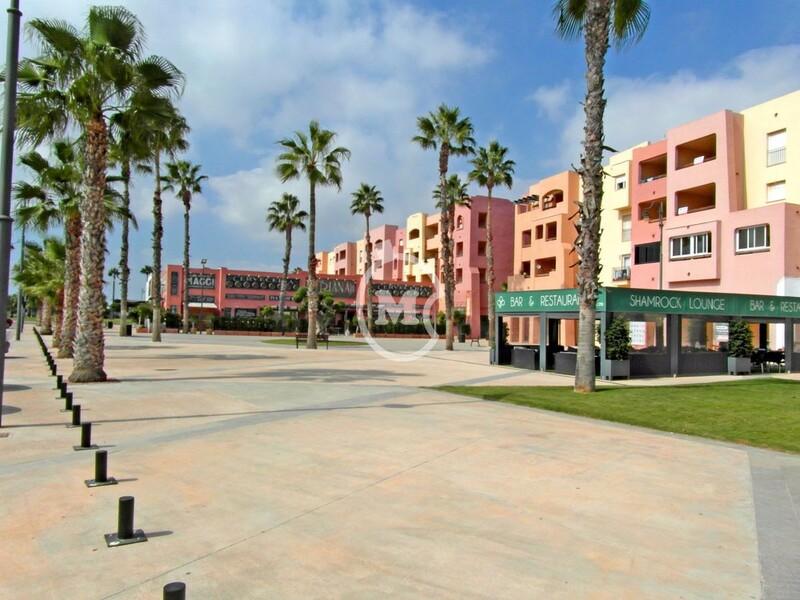 I am interested in property 2 Bed Apartments next to Mar Menor Golf (Ref#: SM3061). Modern, stylish, 2 bedroom apartments starting at 99m2, for sale next to the Mar Menor Golf Resort, Murcia. The apartments are in attractive buildings which are decorated in Mediterranean colours and laid out along a palm tree lined boulevard. Inside the property there is a very spacious and bright interior with 1 bathroom, lounge and dining area, open plan kitchen and utility area. The lounge has sliding doors to the large covered terrace of 20m2, with views to either the golf course or the boulevard and countryside. Lift access. 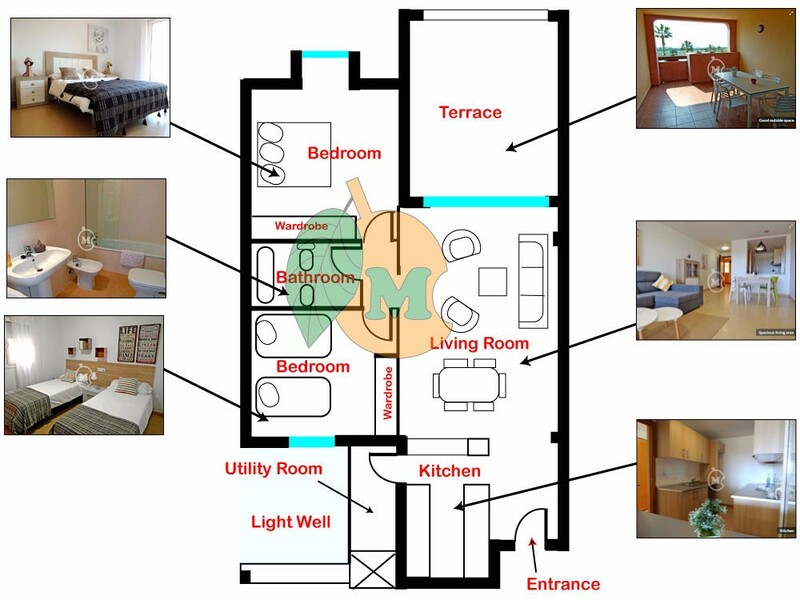 Apartments are available on the 1st 2nd and 3rd floors. There is 24 hour security and private gated parking for residents. The apartments are sold unfurnished. Included in the price is an oven, hob and 75 litre electric water heater and pre installation of ducting for air conditioning. Community fees are € 40 per month. Annual council tax € 290. There is a good choice at the moment of different floors and views but the apartments are selling quickly. Located on the edge of the very popular Mar Menor Golf Resort in the area known as The Boulevard which has a selection of bars and restaurants. There is a Spa supermarket 5 minutes walk away. Within the resort itself you will find top level facilities with the 5 star Intercontinental Hotel and its various services: spa, swimming pool, restaurants, Pro Shop and club house and an 18 hole golf course designed by Nicklaus Design. The seaside town and beaches of Los Alcazares are less than a 10 minute drive away and the cities of Cartagena and Murcia 30 and 40 minutes. Corvera airport is a 20 minute journey.